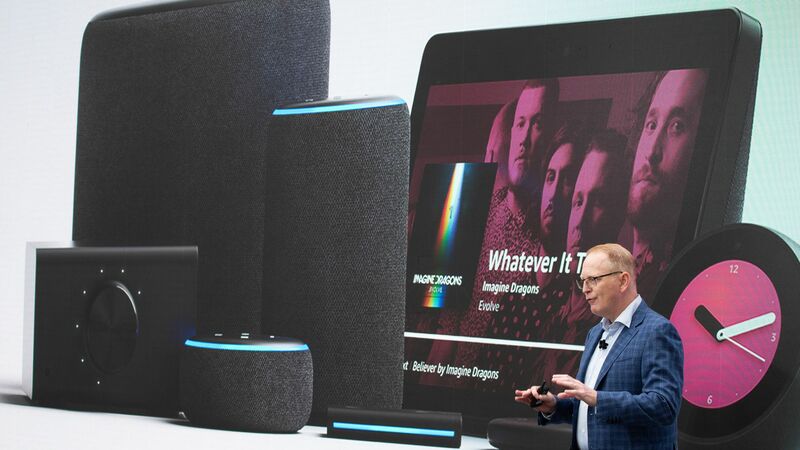 Amazon's senior vice president of devices and services, Dave Limp, told The Verge that more than 100 million Alexa-enabled devices have been sold. The big picture: That number puts Alexa significantly behind other intelligent assistants like the Google Assistant and Siri, which are pre-installed on cellphones, but Limp said he isn't worried about competitiveness with other products. He said there will be "multiple players in the foreseeable future," and he doesn't think "there's going to be one winner." He also told The Verge he believes in "multiple assistants" and having them "interact in lots of different ways." 1 caveat: As Bloomberg's Shira Ovide notes, the number of Alexa-enabled devices sold isn't as insightful a number as something like daily active users. Plenty of people could have an Amazon Fire tablet or dishwasher with Alexa installed, but may have never used the software itself. What's next: Limp told The Verge he wants to get Alexa on as many devices as possible and focus on international expansion. Another goal is to make Alexa "more conversational, make skills more discoverable, and generally just become less awkward to use." Google has quietly acquired Superpod, a startup that had built a question-and-answer mobile app, Axios has learned. Google paid less than $60 million to “acqui-hire” the founders and purchase some of Superpod's assets, according to a source. The bigger picture: The search giant hasn’t been shy about its ambitions for Google Assistant, the voice-activated virtual assistant that it debuted in 2016. Superpod, which lets users ask questions and receive answers from experts, could help Google bolster its virtual assistant’s ability to answer users’ questions. Superpod isn’t the first to tackle this concept — Twitter co-founder Biz Stone’s startup Jelly had a similar concept, though the company ultimately sold to Pinterest in 2017 and folded. Jelly’s premise was that there was still a need for human answers to people’s questions, something that became evident through social media, where users frequently “crowdsource” answers from others. A Google spokesperson confirmed that Superpod’s founders have joined the company but declined to comment further about the deal. Superpod shut down its app in September. Background: Superpod.io (formerly known as Sparks) was founded by ex-Google employees Sophia Yang and William Li in 2016, according to Pitchbook, and raised an undisclosed amount of seed funding from Precursor Ventures, Charlie Cheever, Social Capital, and the House Fund, per AngelList.